On Thursday, October 23rd, the Sun Sentinel newspaper released its list of endorsements for all 5 races in Pompano Beach. 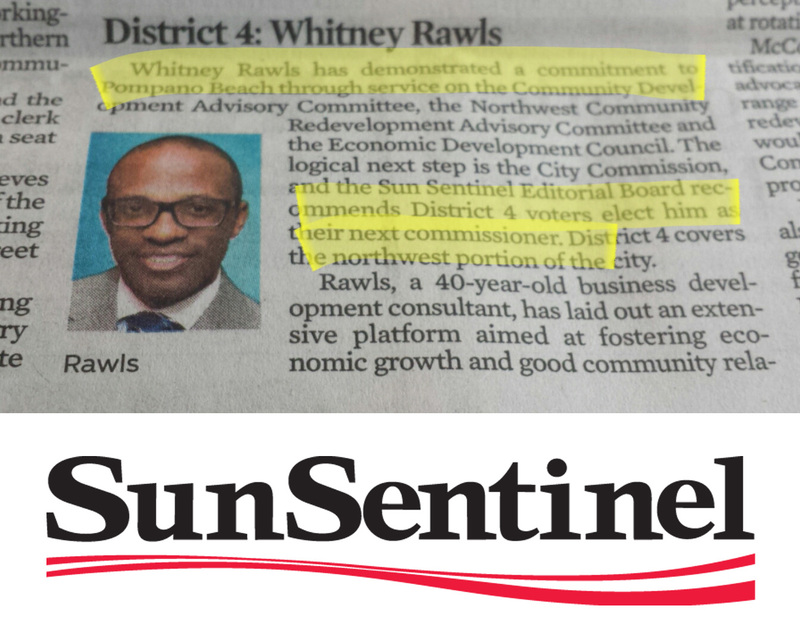 In addition to recommending incumbents Barry Dockswell (District 1), Charlotte Burrie (District 2) and Rex Hardin (District 3), the Sun Sentinel endorsed Whitney Rawls for the District 4 Commission seat. To read the full recommendation from the Sun Sentinel’s Editorial Board, click here.